GEORGE Osborne has admitted to being a political idiot. The former chancellor said that, in retrospect, his commitment to a Brexit referendum was based on the utterly cretinous belief that UKIP were somehow going to become a major force in the House of Commons. He told the BBC: “David Cameron and I got all worked up and came to this completely moronic conclusion that loads of Tory seats were under threat from this bunch of psychopaths. 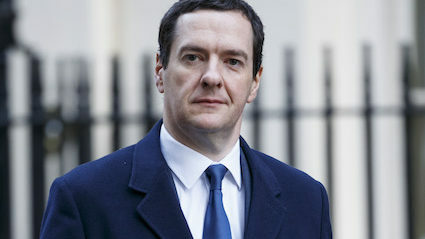 Osborne added: “You have to wonder about all these people paying me huge amounts of money to do various jobs. AN increasing number of British adults are wearing mittens. As temperatures drop, there have been numerous sightings of fully-grown humans opting to wear sleeping bags on their hands instead of normal gloves. Psychologist Nikki Hollis said: “Even if they do keep wearers’ hands marginally warmer, this benefit is overshadowed by the fact that they turn hands into useless woollen slabs that can’t do, hold or open anything.